Last year I shared my “Debian related goals for 2010”. I announced that I would not be able to complete them all and indeed I have not, but I have still done more than what I expected. Let’s have a look. Or rather not yet done. It’s still an important project of mine and I will do it this year. When I wrote this last year, I expected to find a publisher that would take care of everything but we failed to find a suitable one so we’re going to do it ourselves. libdpkg-perl has been introduced with dpkg 1.15.6.
dpkg-buildflags has been introduced with dpkg 1.15.7. It’s not widely used yet and it won’t really be until debhelper 7 supports it (see #544844). It would be nice to see progress on this front this year. The adoption rate has been steady, it clearly slowed down since the freeze though. I have implemented quite a few features to satisfy the needs of users, like the possibility to unapply the patches after the build, or the possibility to fail in case of unwanted upstream changes. I believe it’s something important on the long term but it never made it to my short-term TODO list and it’s unlikely to change any time soon. We have dealt with many bugs over the year, but we still have 20 more bugs than at the start of last year (370 vs 350). We’re not doing bad compared to many other Debian teams but we can still benefit from some help. Start here if you’re interested. I am convinced that we need something to have a clearer idea of the commitments made by each contributor. I don’t put the same amount of care in maintaining smarty-gettext that I do on dpkg. If we had a database of the stuff that we know we don’t do well enough, it’s easier to point new contributors towards those. Anyway, this project is still unlikely to come to the top of my priorities any time soon. 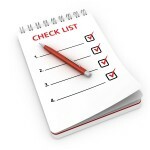 We have switched the Maintainer field to debian-policy@lists.debian.org to have more review of the changes suggested through the bug tracking system but that has not changed much on the global situation. I still hope to become more active on it sometimes this year. Maybe by trying to make it more fun and creating the text for some of the wishlist bugs as blog articles first. Dpkg 1.15.8 was the first version working without Perl, I announced it in July. dpkg-mergechangelogs is part of dpkg-dev since 1.15.7. I am also waiting for your Debian book to be translated into English :):). 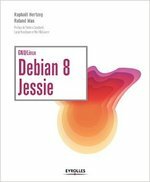 Hoping by the end of this year I have your Debian translated book in my bookshelf .